Homecraft® Inc. is proud to be the trusted provider at Lincoln University offering roofing, siding, replacement windows and gutters. We always place a top emphasis on high-quality craftsmanship, materials and products built to last. We make sure you get one-on-one attention built on three decades of workmanship, making Homecraft® Inc. the #1 reputable company among Lincoln University PA homeowners. 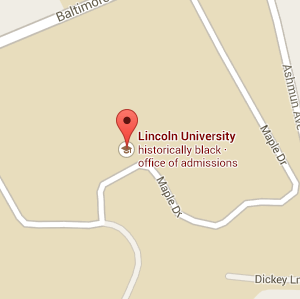 Lincoln University is the country’s first degree-granting historically black university, founded in 1854. Situated in Chester County, there are two locations – one in Philadelphia and one in Coatesville. With so much history here, you need someone on your side to preserve the community. We can help you achieve that as your experts in roofing, siding, replacement windows, doors, and gutters. Our energy-efficient replacement windows will immediately spruce up Lincoln University PA homes. We have the widest selection and highest quality when it comes to Homecraft® vinyl replacement windows or Andersen® wood replacement windows. If you require a weather-resistant storm door to protect your home, we are here to help. If you need to replace your old garage door with a new state of the art one, we are here for that too. There’s no better way to welcome your family and visitors than with a sleek new front door. Boasting all kinds of siding for you to choose from, from cedar shake to vinyl siding, our top priority is high-quality siding. It depends on the type of house you have, but we can provide you with advice on which colors, textures and styles you should choose. Homecraft® Inc. is all about choice in Lincoln University PA.
We offer you our exclusive Homecraft® Inc. guarantees because our professionals deliver on promises of quality as GAF MasterElite™ roofing contractors. This is the nation’s highest quality roofing system backed by “Golden Pledge™” warranty protection. Protecting your home from damaging rain is important, which is why you need a great gutter system. Shield your home from water damage as well as your surrounding property with our gutters in Lincoln University PA. Here, homeowners can count on Homecraft® Inc. for their gutter systems that divert the flow of water from rain, snow, or melting ice. Your home is a reflection of your lifestyle. Lean on our team to make any improvement, repair, or renovation you need. Rest easy knowing we are continually trained in the best products, materials and installation techniques, giving you 100% satisfaction guaranteed on worn parts or damage repair. FREE Estimates on Lincoln University PA Home Improvement, Windows, Doors, Siding or Roofing. Call Homecraft®, Inc., today at 1-877-494-0377 to schedule a FREE in-home consultation and estimate for your Lincoln University PA home improvement project, roofing, siding, replacement windows, doors, or gutters.